Celebrate 70 years of Archie Comics fun with this massive full-color collection of over 50 favorite comic book stories hand-selected by noted Archie writers, artists, editors and historians. Also included are loads of entertaining behind-the-scenes anecdotes about the comics, their creators, and Archie's unique impact on America's pop culture! Designed for young and old ali Celebrate 70 years of Archie Comics fun with this massive full-color collection of over 50 favorite comic book stories hand-selected by noted Archie writers, artists, editors and historians. 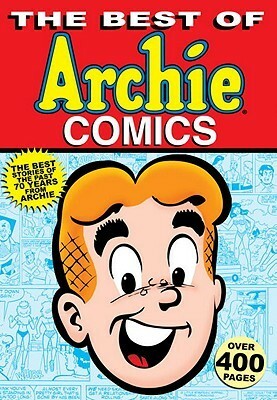 Also included are loads of entertaining behind-the-scenes anecdotes about the comics, their creators, and Archie's unique impact on America's pop culture! Designed for young and old alike, this is both a must-have companion for anyone who has grown up with Archie and a perfect introduction for new readers.